Saudi King Salman bin Abdulaziz Al Saud will visit Moscow on October 4-7. 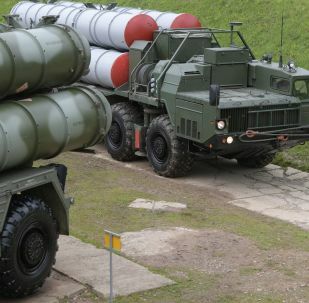 Moscow and Riyadh have agreed on the deliveries of Russian S-400 Triumf air defense systems to Saudi Arabia. A Saudi official has commented on Moscow's role in the Middle East following the "landmark" visit of the Saudi King to Russia last week. Russia and Saudi Arabia have agreed on the supply of S-400 anti-aircraft missile systems, as well as a number of other weapons, including the Kalashnikov AK-103. The "landmark" visit of the Saudi King to Russia is already bearing fruit as the Russian and Saudi energy giants have signed an agreement on cooperation paving the way for joint projects. The Russian energy minister told the Rossiya 24 television channel that Russia's and Saudi Arabia's positions on the oil output cut deal were similar, adding that the deal's future should be discussed closer to its completion. Riyadh has started diversifying its foreign relations due to the US' further rapprochement with Tel Aviv, Russian political scientist Vyacheslav Smirnov told Radio Sputnik. According to the expert, the first ever visit of King Salman bin Abdulaziz al-Saud to Moscow is likely to strengthen Russo-Saudi ties. Following the first meeting between Russian President Vladimir Putin and Saudi King Salman bin Abdulaziz Al Saud in Moscow, the top Saudi diplomat has said that the two countries would boost cooperation, including in the anti-terror fight. 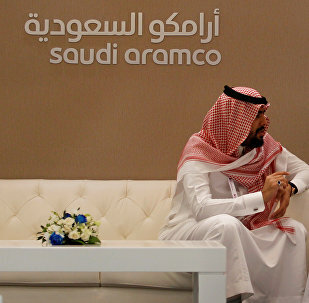 On Thursday, the Russian Direct Investment Fund said on Thursday it had signed a memorandum of understanding om the possible petrochemistry cooperation in Russia and Saudi Arabia with Saudi Aramco and Russia’s SIBUR. 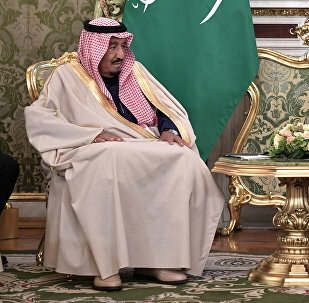 Russian President Vladimir Putin has said during his first ever meeting with Saudi King Salman bin Abdulaziz al Saud that the monarch's visit to Russia is a landmark event. King Salman of Saudi Arabia, who is currently on his first-ever visit to Russia, is set to meet with President Putin in the Kremlin on Thursday. Sputnik has reviewed what is expected to top the agenda of the talks. Moscow and Riyadh will sign a number of investment deals, including a $1.1 agreement on construction of a plant in Saudi Arabia by Russia's Sibur, during the historic official visit to Russia by Saudi King Salman on October 4-7, Russian Energy Minister Alexander Novak said in an interview with The Financial Times. The King of Saudi Arabia, Salman bin Abdulaziz Al Saud, arrives in Moscow for a historically significant first ever visit to Russia. During his first trip to Russia, Saudi King Salman Al Saud is set to hold talks with Russian President Putin and Russian Prime Minister Medvedev to discuss the conflicts in the Middle East and joint investment projects. 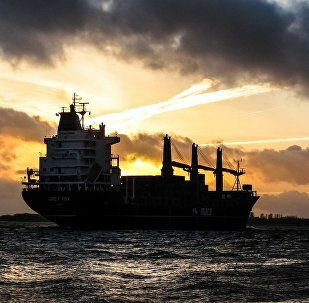 Crimea is willing to develop economic relations and trade with Saudi Arabia and to offer some promising investment projects, as well as to organize grain exports, charter flights and a visa center on the peninsula, local officials told Sputnik. Saudi Prince Turki Faisal Al Saud gave an interview to Sputnik and the Russian television channel NTV. 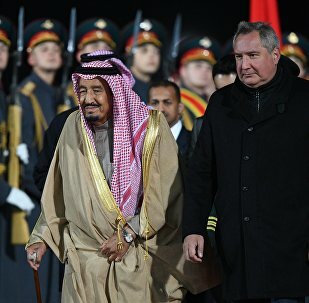 The forthcoming visit of Saudi King Salman Al Saud to Russia for the first time in almost hundred years of Saudi-Russian relations is regarded to be historic. Both sides hope to strengthen bilateral relations and achieve progress on Syrian settlement - burning issue of modern international politics. Announced Tuesday, Saudi Arabia will now be allowing women to drive, but the change won't take effect until June of 2018. Russia is preparing for a visit of Saudi King Salman Al Saud who will arrive in Moscow on October 4 to discuss the deepening cooperation between the two countries. Russian Foreign Minister Sergei Lavrov's trip to Saudi Arabia accelerated the all-around rapprochement between Moscow and Riyadh, and it also helped sort out some of the details for King Salman's upcoming trip to Moscow next month. Russia and Saudi Arabia are reportedly lobbying for the extension of the deal limiting crude oil production.